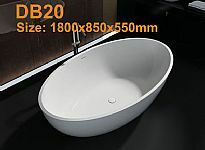 Dreambath Sanitaryware Factory is one of leading manufacturers with the vacuum casting machine to mainly produce all kinds of acrylic freestanding bathtub like solid surface bathtub (corian bathtub) and resin bathtub (stone resin bathtub), someone also called them like"man-made stone bathtub","artificial stone bathtub","cast stone bathtub", "pure acrylic solid surface bathtub", "stone composite bathtub","quartz composite bathtub", "bathtub freestanding" etc..
Calcium Carbonate Powder, Unsaturated Polyester Resin,Quartz, Hardener and Gelcoat. 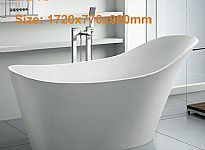 Then What is Acrylic Solid Surface? 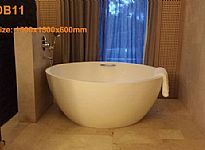 Before to know the advantage of Acrylic Solid Surface Bathtub, Let's explain what Acrylic Solid Surface is to you. 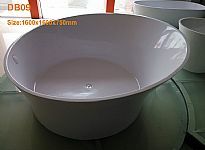 Acrylic solid surface is a main mixture of Polymethy methacrylate (PMMA), Unsaturated polyester resin (UPR), Aluminum Hydroxide Powder AL(OH)3 and Pigment etc. 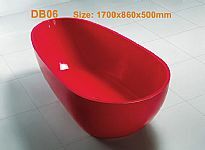 Except the advantage of stable quality, acrylic sheet overcome the defects such as deformation and fracture. 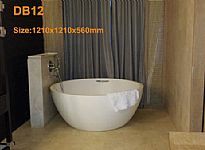 Acrylic solid surface also possessed other good performance including longevity, grime-resistant, germ-proof, anti-impact, noninflammable and high plasticity, so acrylic solid surface had been widely used in domestic decoration aeries and public construction including luxury hotel, multiple use building, bank fields and so on. 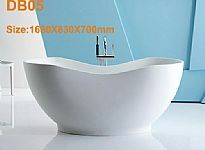 In above-mentioned place, you can see acrylic solid surface product anywhere. 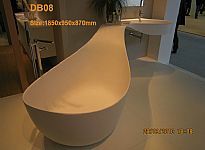 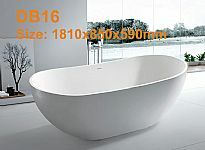 Why Choose Acrylic Solid Surface Bathtub? 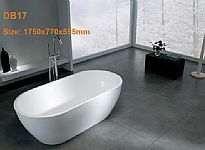 What's advantage of it? 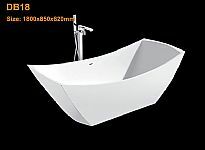 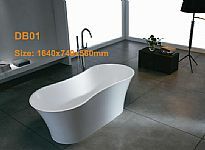 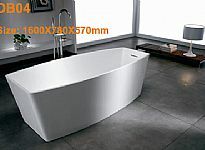 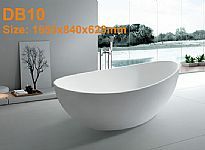 Acrylic Solid Surface Bathtub can give a lifetime of maintenance-free and durable beauty. 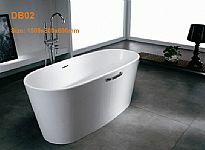 The advantage of solid surface of the bathtub is non-porous and anti-stain, and the joint of solid surface is seamless, so it is very beautiful and top high quality. 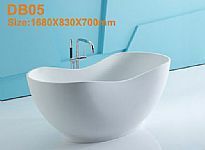 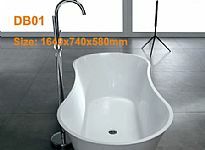 Moreover, the solid surface bathtub doesn't require special maintenance, if solid surface bathtub is damaged or scratched, it is very easy and inexpensive to mend by polishing. 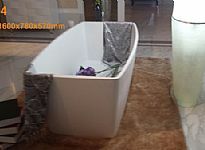 Compare to normal acrylic bathtub, the acrylic solid surface bathtub without any joint at the surface, it is available in over 100 colors and patterns, beautiful and popular design, the most important is you can use the acrylic solid bathtub more than 20 years, 30 years, even more longer, it is still like a new one. 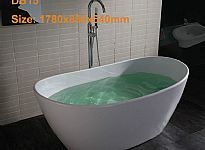 For its beautiful and top high quality, that's why it is worth for investment. 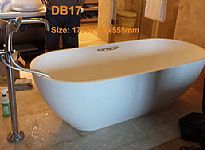 Meanwhile, Dreambath also enjoys a high reputation in the international & domestic market. 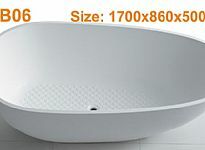 We assure you good quality, favourable prices, punctual delivery and best services.